This is our custom-built Phase Reverse Cable. This cable swaps the high and low signal which reverses the signal's phase. Construction is Neutrik connectors with Mogami 2549 cable. Neutrik connectors are some of the best connectors around. Mogami 2549 is a balanced "microphone cable" style cable and is very flexible, durable, heavy-weight cable. Photo 1 shows 2' cable with XLR male and XLR female. 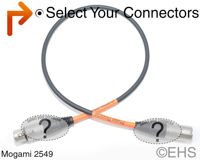 Photo 2 shows one option for the two ends with XLR male and XLR female and standard orange label.